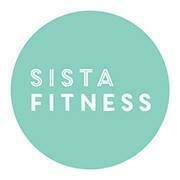 Sista Fitness Morley is a women only, full service club, tailored to female needs to support women in improving their health and well-being, and achieving their personal goals in a non-intimidating environment. Our club has state of the art facilities and equipment (all cardio equipment has live TV and Netflix access) with a extensive group fitness class timetable including Les Mills, Konga, Yoga, Pilates, Boxing and Functional HIIT Training. We also offer creche, personal training, personalised training programs, body composition scans, complimentary breakfast and clean, modern change rooms and showers (including GHD's and hairdryers).